I stayed at Hotel South Beach Resort Dar es Salaam for one night and was truly amazed by the friendly and welcoming atmosphere this Resort has to offer. It's one of very few Resorts in Tanzania that not only boasts comfort and likeability, but also manages to secure highly entertaining and friendly staff who are always willing to ensure you have the best time during your stay. If you do visit South Beach I strongly recommend you dine at Rifu's Bar and Grill, the house chef is outstanding and the food is breathtakingly tasty! The resort also hosts themed parties and activities for families and young individuals, so there is something for everyone. I enjoyed the evenings at the bar as the bar staff were highly entertaining and managed to mix up some fantastic cocktails and shots specifically for my taste palette. 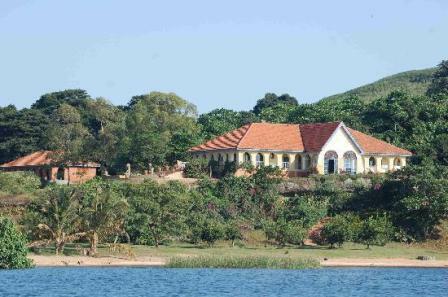 I will definitely be staying here when I visit Dar es Salaam in the near future. THANK YOU SOUTH BEACH! Located in the Kigamboni area or better known as South Beach, the resort overlooks a pristine ribbon of powdery sand and aquamarine waters, the Hotel South Beach Resort features an exclusive location on the Indian Ocean front in Dar es Salaam city, Tanzania. It is Kigamboni’s most exquisite beach hotel, located comfortably away from the hustle and bustle of the city, 8 kms from the Kigamboni ferry in Dar es Salaam city, Tanzania. Offering an array of water sports and leisure activities, the resort is enjoyable for both residents and visitors. Hotel South Beach Resort features the only and very large swimming pool in south beach, with rain dance along with the only Jacuzzi in south beach to relax in under the sun. This exclusive property will allow you to get away from the everyday stress and relax in the secluded comfort of deluxe efficiencies. The beach front is also an ideal location for beach parties, which can be all night affairs. All that, with the awesome views at sunrise, culminate into making your stay a memorable one. Enjoy all the water sports along our white sandy beach. You can swim, play beach volleyball, ride jet skis or simply relax, grab a tan and sip a relaxing and cooling drink from Rifu’s Bar and Grill. We serve Continental, Indian, Chinese & Local Tanzanian Cuisine. Thanks to our in house DJ who plays local and international tunes on the weekends and public holidays, you will get the chance to mingle with the local crowd.